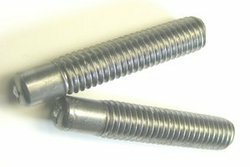 Providing you the best range of stainless steel weld stud and capacitor discharged weld stud flanged with effective & timely delivery. 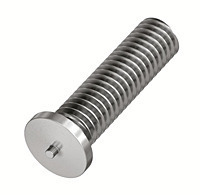 We manufacture different size of weld stud in SS-304 & SS-316 as per customized requirement. CD weld stud manufactured through cold forging as per customised dimensions.